BlazBlue Cross Tag Battle’s producer Toshimichi Mori recently participated in an interview with Dengeki PlayStation magazine in Japan. They discussed the upcoming crossover fighting game, with Mori addressing some questions about the game, including its controversial DLC plans. He is interested in continuing the series, if the support exists. 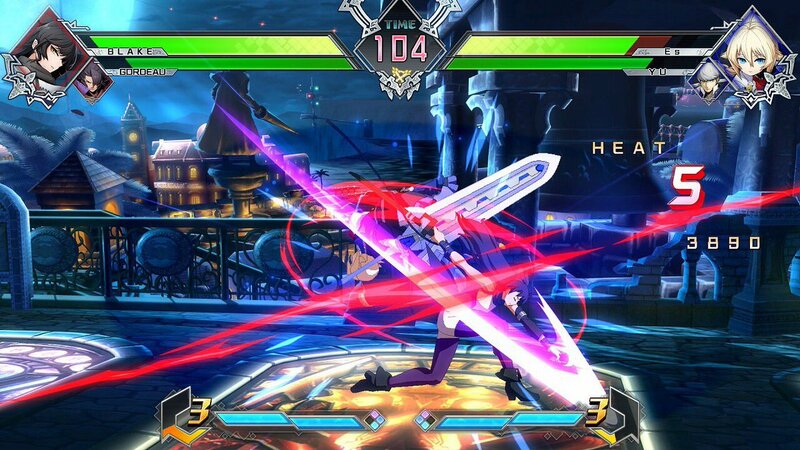 Releasing BlazBlue Cross Tag Battle on home consoles and PC rather than arcades was meant to be a way to eliminate the discrepancy between western and Japanese players. Previous games released in Japanese arcades before home devices and worldwide, meaning that Japanese players had more time with the game to practice, and in general dominated the worldwide scene. The game is being made specifically to be playable on a gamepad, hence the simpler command inputs than in previous games. The base game is being released at a lower cost – 5,800 yen (roughly $52 USD) at retail and 5,375 yen ($48 USD) digitally – as a way to lower the cost of entry for new players, and attract those who may ordinarily be on the fence. The idea is that those who are interested by the base game may then buy the DLC afterwards. The game and DLC together will not cost much more than regular full price for a new game. For reference, usual full price for new games in Japan varies, but is usually around 6,400-8,400 yen ($58-$77 USD). While the actual price of the DLC has yet to be revealed, this will likely place its price in the 2,000-3,000-yen range, although it may push higher as well. While the final price is still up in the air, this announcement will likely alleviate some people’s worries about the DLC. However, as we outlined in this piece criticizing the DLC plans, price is not the sole determining factor in this situation. Release schedule is also an important element, so we’ll still need to wait and see exactly how Arc System Works will address concerns there. It remains to be seen what we should expect when BlazBlue Cross Tag Battle launches on PS4, Switch and Steam on June 5 (May 31 in Japan).